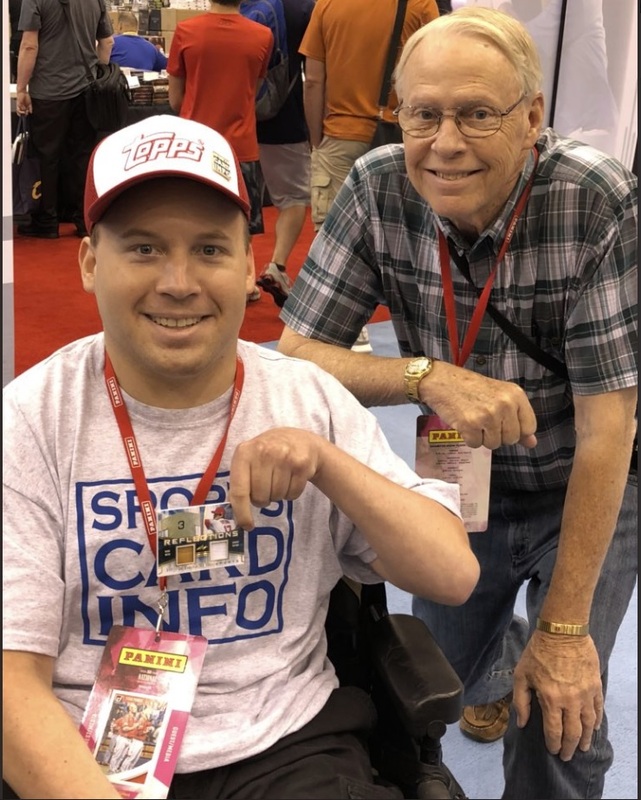 Its no secret that I had a great time while attending the National Sports Collectors Convention this year. I’ll be talking about it forever. Sports Card Info pin/t-shirt, Topps hat, and pulling a Babe Ruth/Shohei Ohtani dual relic #’ed 1/1. All while surrounded by some of the most museum quality sports memorabilia known to man. It doesn’t get much better than that. I was very happy to see the NSCC selling show-branded merchandise. Its been a long time since we’ve had stuff with the show’s name on it. This past year they went all out. Five different types of t-shirts, poster, and a pin. Some of this could only be purchased online or in person at the show. When I saw they had a pin, I needed to pick one up. Pins were a regular thing they sold for awhile, but then stopped. Show-exclusive bobbleheads should be next.